This year our church Advent Study will take place on Wednesday evenings at 7pm beginning tomorrow, December 5th. 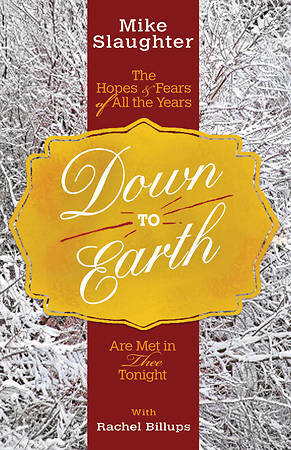 The study is based on the book Down to Earth by Mike Slaughter, and can be purchased from Pastor Lee for $11.99. Everyone is welcome to take part. A virgin birth. God’s son…a helpless baby. Fleeing certain death. Nothing about the Christmas story is ordinary. Mike Slaughter says it’s enough to confound the mind and make the heart contrite. In his book, Down to Earth, Slaughter presents a four-week Advent study that opens up God’s Christmas surprise to us and examines how it changed everything.